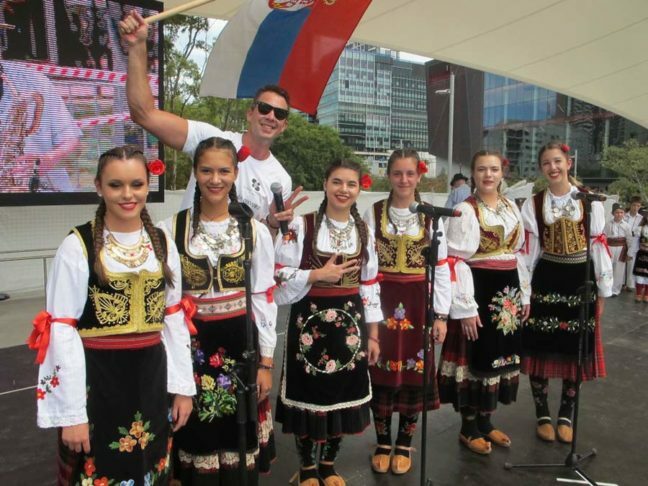 Popularly known as "the largest Serbian festival in the southern hemisphere," for the fifth time the Serbian Festival was held, on 4 and 5 February, 2017, at one of the busiest tourist sites of Sydney, Darling Harbour and Tumbalong Park, organized by the Serbian Orthodox Youth Association, under the auspices of the Diocese of Australia and New Zealand Serbian Orthodox Church and numerous sponsors. Every year the Serbian festival brings together many distinguished guests and Serbian diaspora. 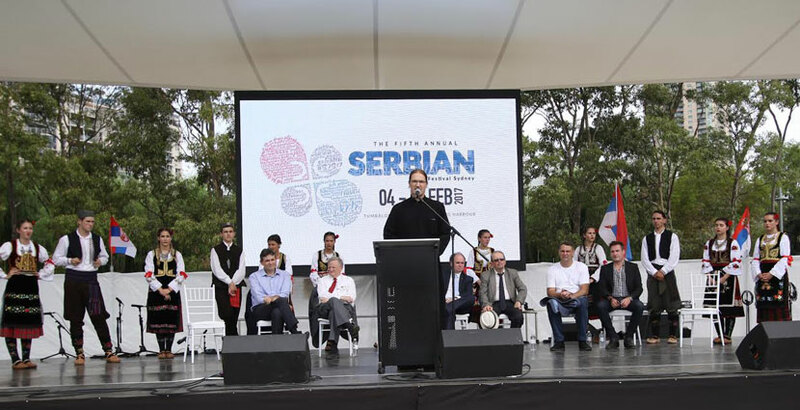 This event, which is a blend of culture, tradition and identity of the Serbian people in this region, has enormous potential for the presentation of Serbia to the widest audience in Sydney, as well as many foreign tourists who visit this site. The two-day festival attracted a large number of visitors (estimation of 50 thousand) who enjoyed the songs, dance and culinary specialties. 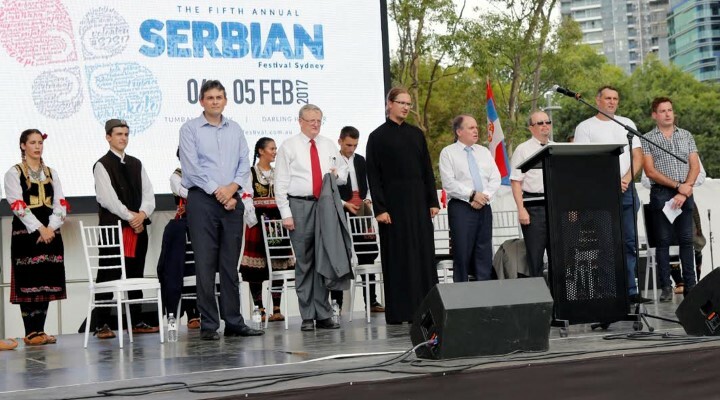 At the opening ceremony of the Festival, after the intonation of the national anthems of Australia and R. of Serbia, on behalf of the Serbian Missions in Sydney and Canberra, gathered citizens were addressed by H.E. Consul General Branko Radošević. Other speakers were: on behalf of the Federal Parliament, David Clarke, MLC, a great friend of Serbia and the Serbian community in Australia; Paul Lynch, a Member of the Parliament of NSW; John Jeremic, on behalf of the organizers of the Festival and on behalf of His Grace Bishop Siluan of the Serbian Orthodox Church, priest Branko Bosančić. The opening ceremony was attended by, in addition to the already mentioned, Consul B.Grbić, as well as by the representative of Air Serbia to Australia, Stevan Sipka, manager of the Sydney network of tourist ports, Brendon Burk, president of SOYA, Ilija Perać as well as other representatives of the Serbian Orthodox Church and the Serbian Community.